I cook a lot at home and if the stove is not working over time to churn out those dishes for my family, the oven is busy doing its fair share of meal preparation! 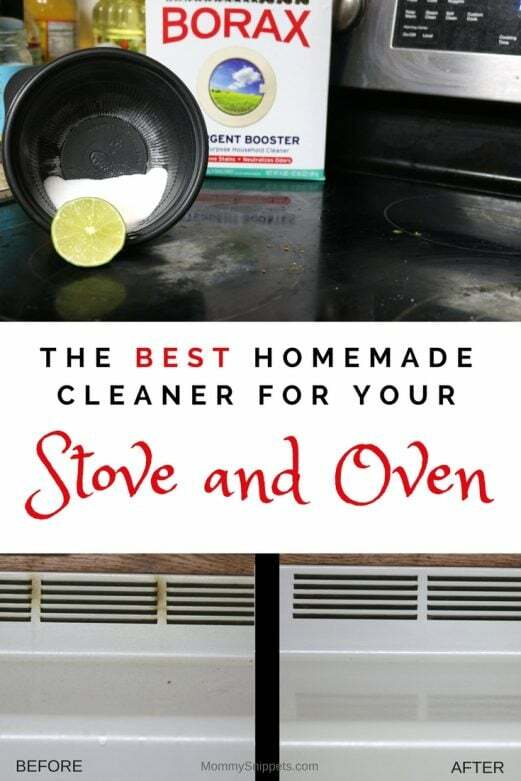 I will admit, there are several evenings or afternoons when we’re rushing to get somewhere or I just don’t have the drive to spend time wiping the stove or oven clean. 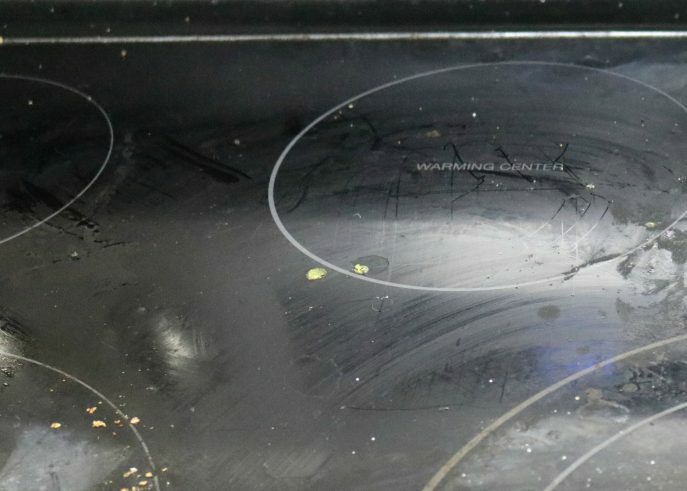 The result is dirty, grimy oven surfaces, and caked stove tops! 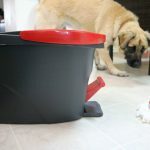 Thankfully this embarrassing scenario does not last long as my incredibly effective homemade cleaner brings about a very reassuring transformation! 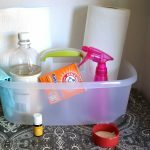 True, this all natural product is commonly used in the laundry room but its just as helpful while cleaning a variety of areas around your home. Click, save or print this infographic, and stick it on your kitchen wall or refrigerator as your cleaning hack reminder. 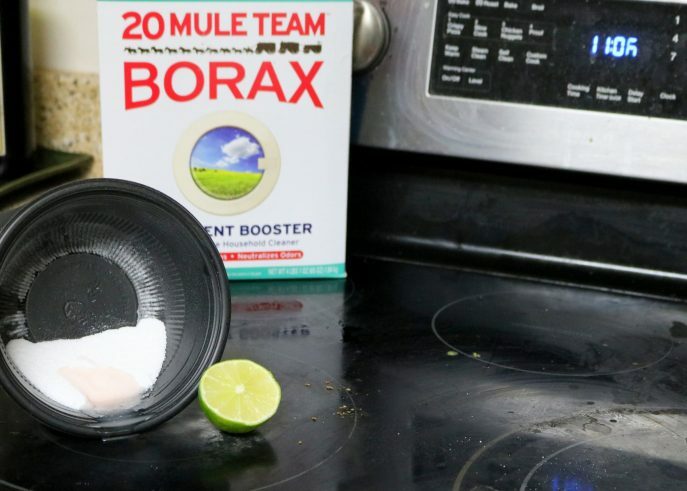 Borax besides acting as a laundry booster that helps soften water and enhance water performance, also helps clean fine china and silverware among several other uses. 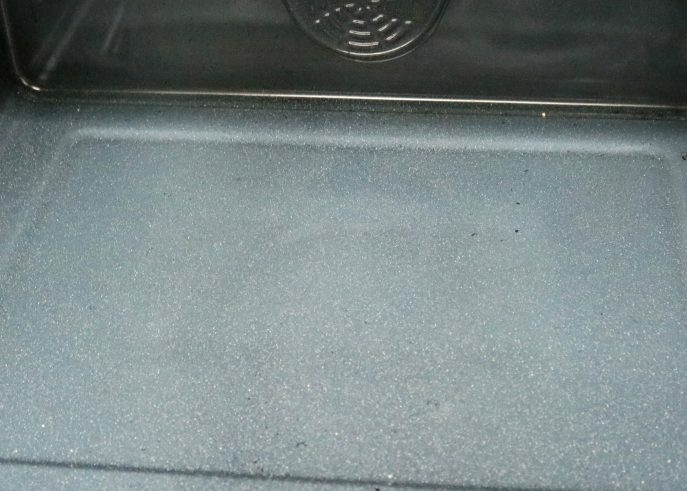 So how do we make this fantastic cleaner? Enough hot water to make a thick paste. 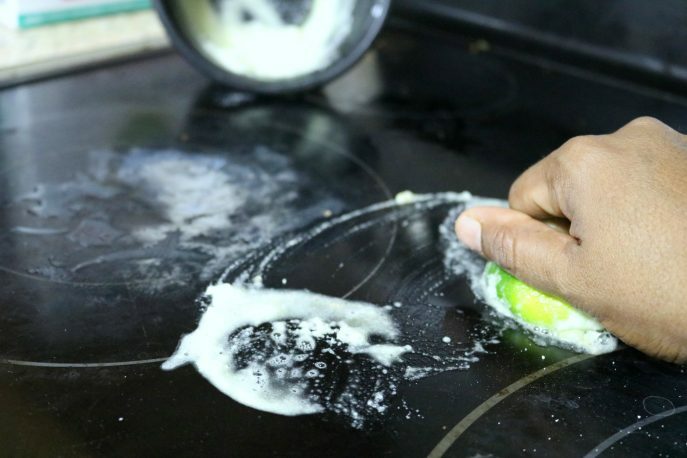 Once the mixture is made, apply the paste onto the stove and oven’s surface and scrub it into all areas of the surface, using the coarse side of the sponge, a tooth brush or even the lime rind left over after squeezing the juice. 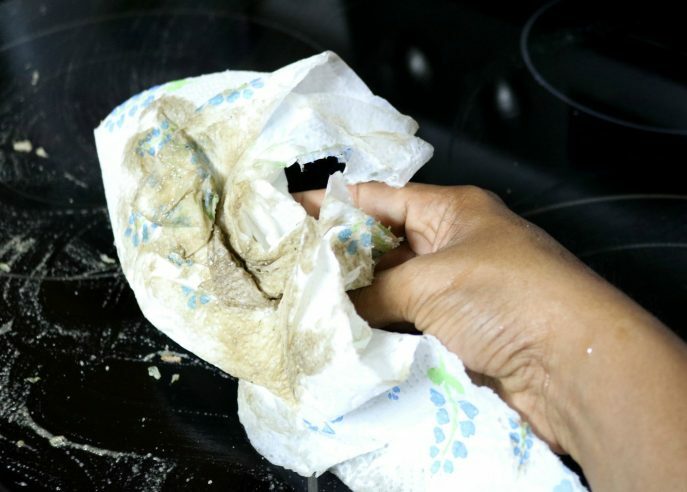 Once applied, leave the mixture on the surface for 5-10 minutes and then wipe clean with a paper towel. 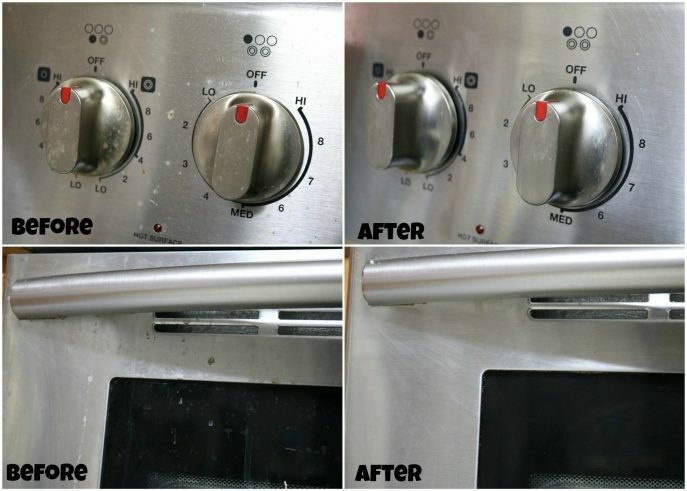 You will be surprised at how well this cleans! 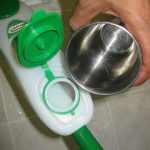 Excited to make your own homemade cleaner? including the 20 Mule Team® Borax. 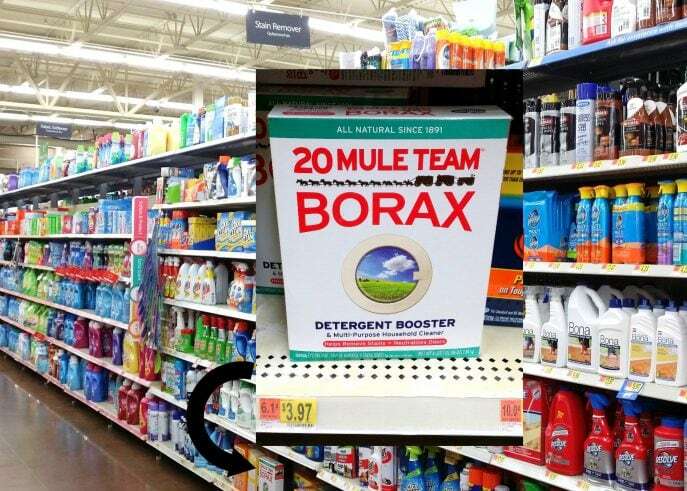 Look for the Borax in the laundry aisle, with the additives. Happy cleaning, minus all those strong chemicals! 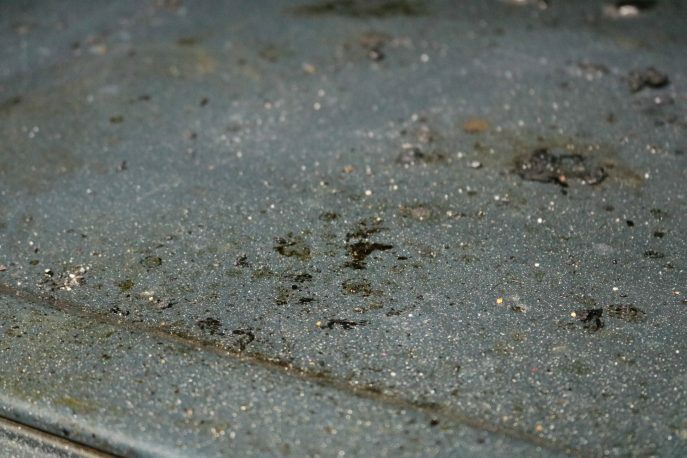 How to make an all surface cleaner that works.